When NHL started kindergarten, all he wanted to do was learn to read. He was focused and had a major goal. We knew that he really wanted to do this skill and prove it quickly. JSL is the second child and was certainly ready and able to learn to read a while ago, but there was something different. My stubborn little fellow did not want to do it. He was still clinging to the special time reading together. He did not want to read shorter books to me, he wanted to read longer chapter books and see where Jack and Annie would go next. JSL eventually realized that even if he could read, I would still read to him. Over the last month or so, my kindergarten kiddo has exploded with his literacy skills. The sounds are all there, the decoding is amazing, and his confidence is growing each and every day. Now, we are working on fluency. Reading has always been a part of our daily routine, but there is something new to our homework. 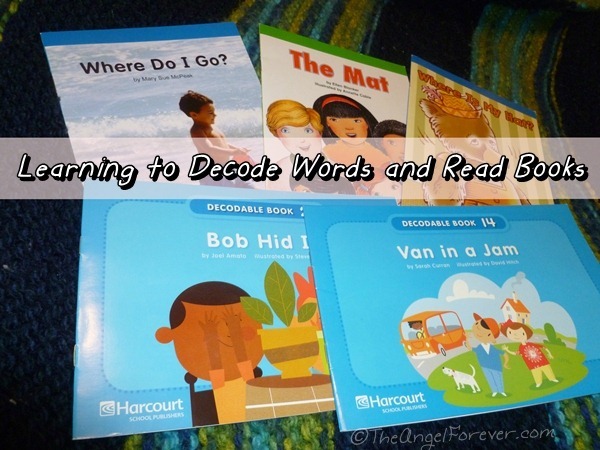 Each week, JSL’s teachers send home some mini-books that work on high frequency words, decoding, and other early reading skills. As a teacher, it always amazes me to see a child go from barely knowing their alphabet, learning their phonics skills, to reading. Now, I sit in amazement as another child, my baby, is able to read. What I learned this year, just like with potty training, was not to push too hard. I knew that JSL would read once he started school. I also knew that there were reasons why he was holding out. He showed me that patience pays off and it makes it even more special. What do you love to read with an emergent reader? We have a lot of books, but always looking for new ideas.